There I was, 45-50 meters off the ground, pondering certain life decisions, particularly how I got into that specific situation. 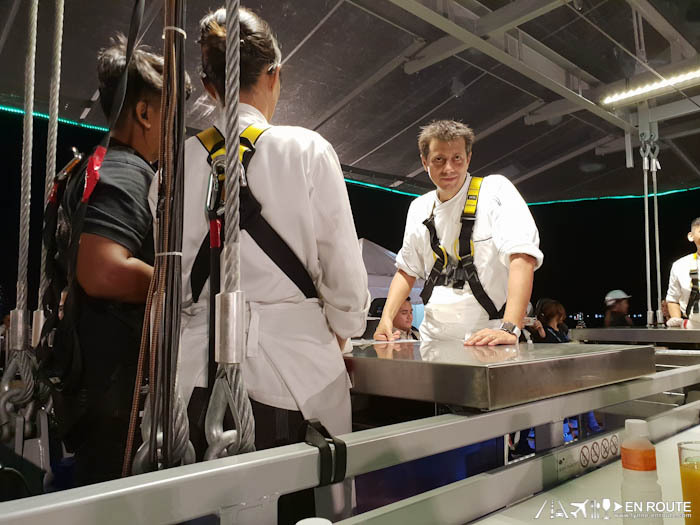 Hailing from Belgium, Dinner in the Sky (DITS) is now being offered in the Philippines for a very limited run. 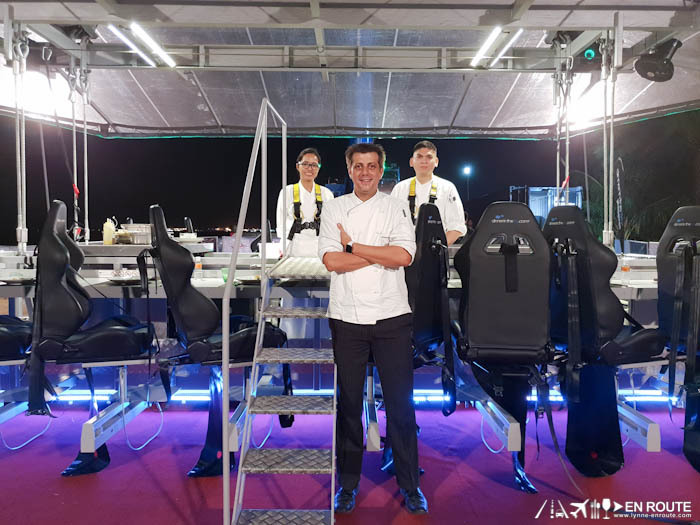 The thrilling dining experience had its opening week last April 2-8, featuring Chef Hylton Le Roux of Solaire’s Waterside restaurant. The Philippine staging of DITS is brought to you by MMI Live, the same company that has brought in artists like Madonna and Coldplay just to name a few. We know they’re definitely experts in mounting big events. 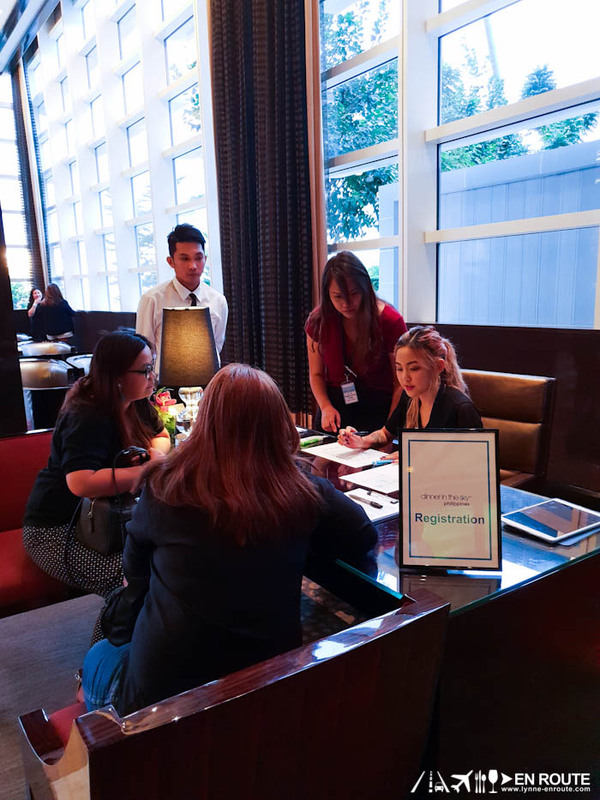 There is a registration process and you are assigned a seat, pretty much like a flight check-in. 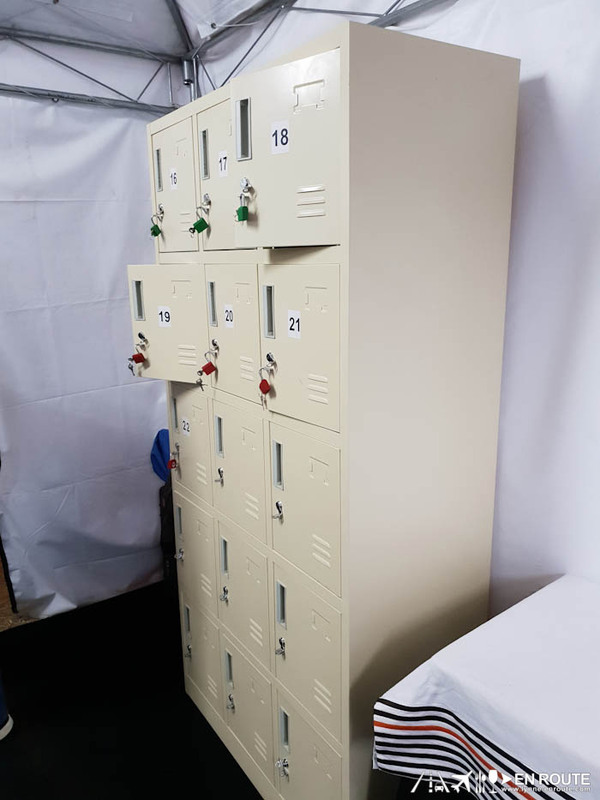 Each guest is assigned a locker for your belongings. If you will bring a camera or even a phone, a strap that allows you to wear it around your neck might help. They offer two sessions per day, 5:30pm and 7pm. 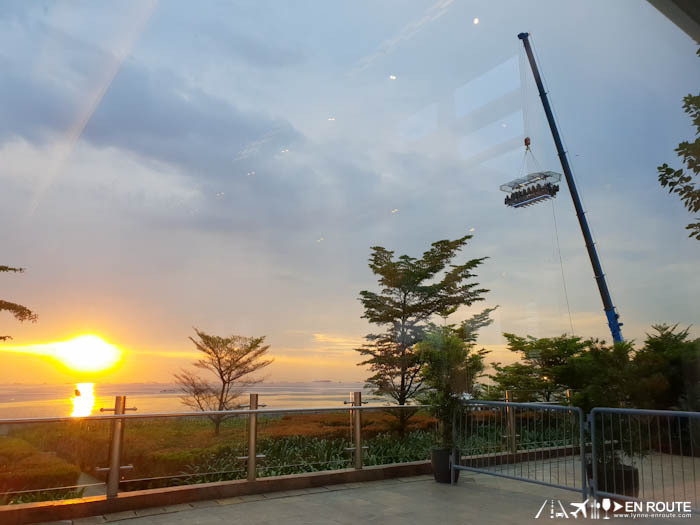 The advantage of the earlier group is an unimpeded view of the Manila Bay sunset. The later flight affords you a view of the city lights. The theme for the night was South American cuisine. 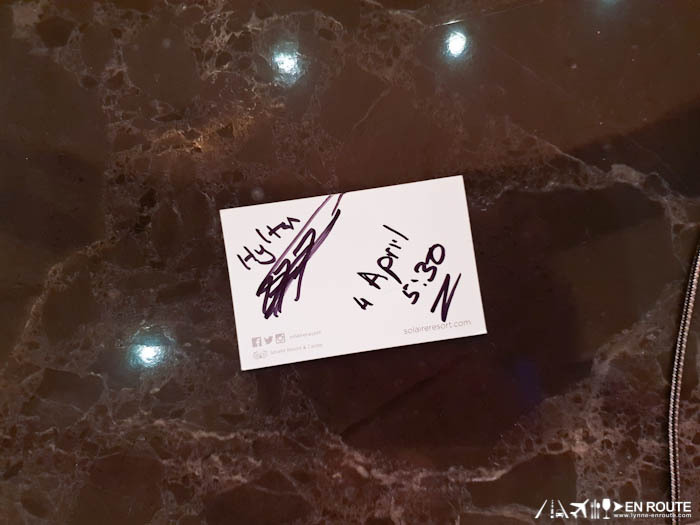 Despite being nervous especially when you feel the restaurant swivel from the wind, it was a great and fun dinner. The nervous laughter made sure there was energy that’s for sure. 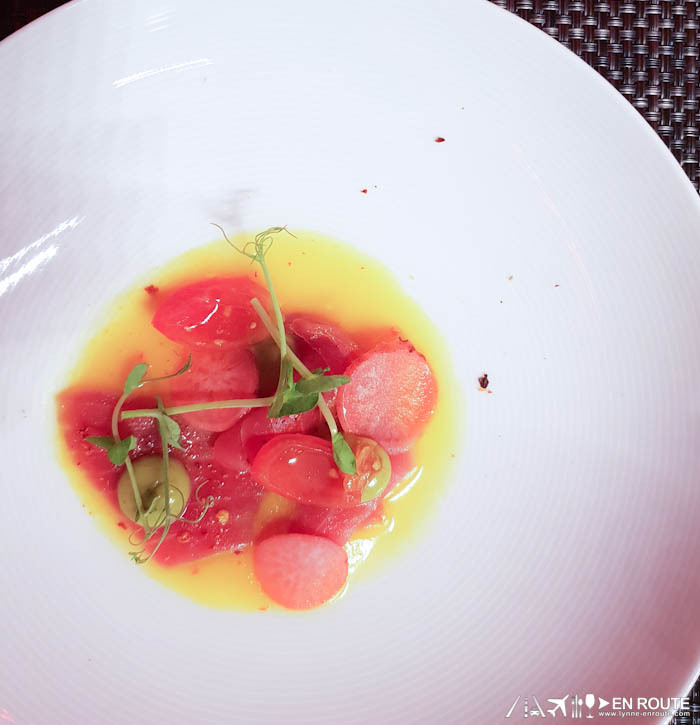 First Course: Tuna Tiradito, aji Amarillo paste, lime pickled red radish, cassava crunch. I learned that Peruvian cuisine also has a lot of Japanes influence. I loved the subtle kick from the aji Amarillo chilli sauce underneath. 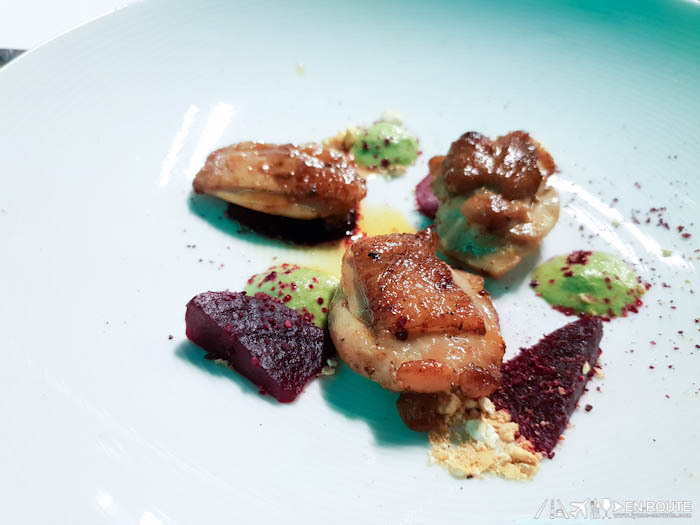 Second Course: Anticuchos de pollo, tamarind habanero glaze, mojo verde, baby beetroot, crispy cancha corn. 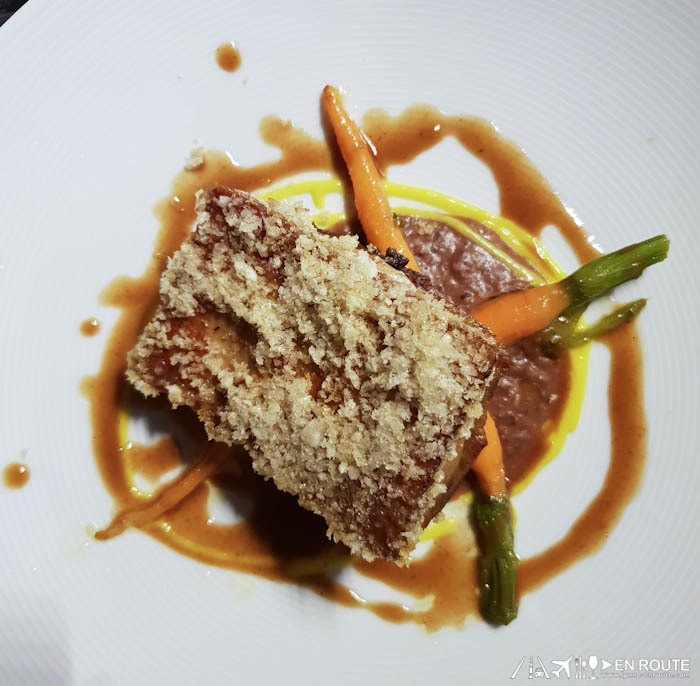 Main Course: Cuban style slow cooked pork belly, Mojo sauce, agave roast baby carrots, spicy refried beans. Those crushed bits are homemade chicharrones from the skin of the pork belly. 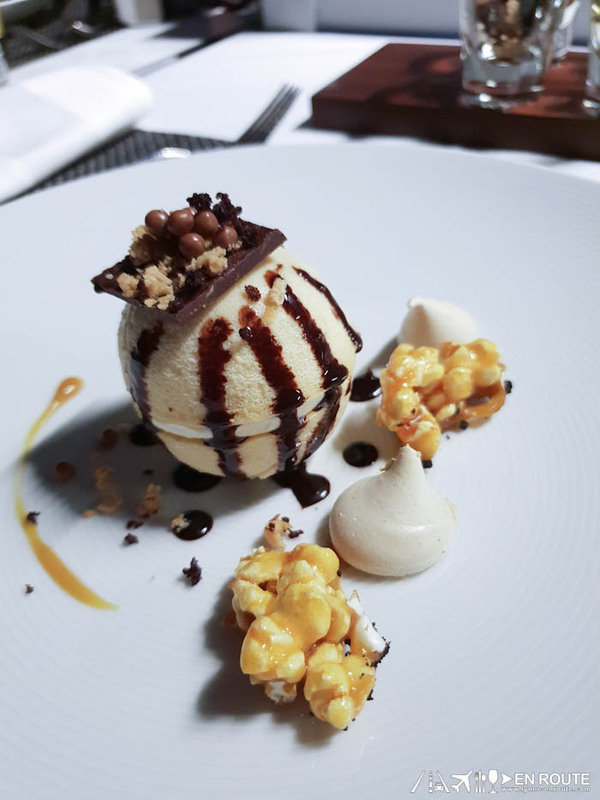 Dessert: Dulche de leche cheesecake dome, praline, chocolate texture. This was made into a game. 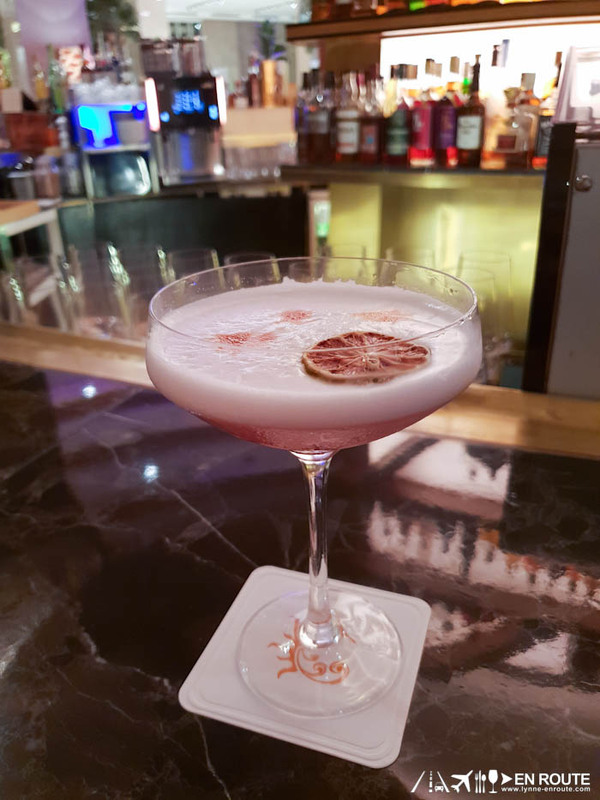 The winner would get a signature cocktail from Waterside courtesy of Chef Hylton. We were tasked to plate our own dessert. While I attempted (and failed, obviously), I also wanted to eat my dessert. As soon as I felt the dining area being lowered, I gave up and decided enjoying the cheesecake was more vital to my experience. I still got to enjoy the signature drink courtesy of our friends from Eatsplorations. 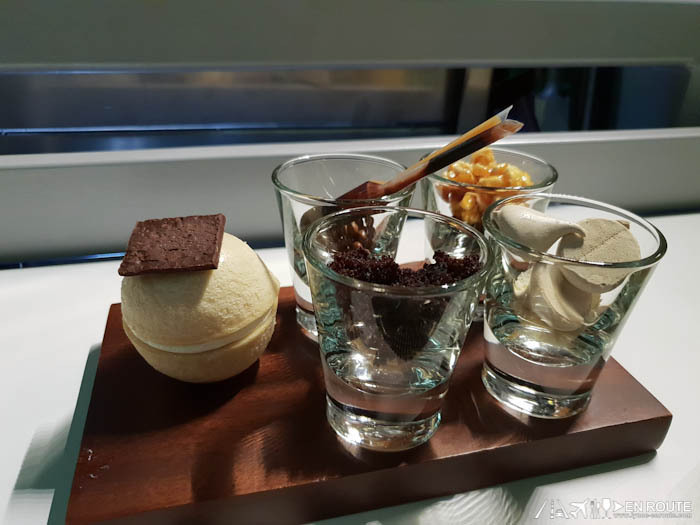 They won the dessert challenge from the previous flight and decided to share it instead. Thank you Mark and Bianca! So back to the scene of me high above the ground. What I can say is that, you only get what you put into it. If you just go for it, enjoy it, and trust that you will be safe, you’ll enjoy the experience so much more. They all say, “Don’t look down.” Well, I looked down and dangled my feet. 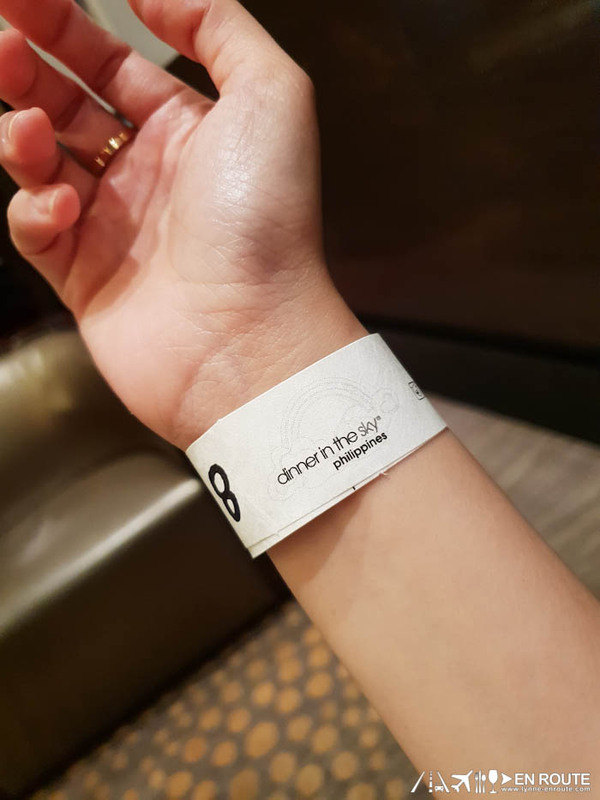 I’m still alive and would gladly repeat the experience. There are 3 available packages and the differences lie in the number of courses as well as the perks you receive on and off-board. Thank you MMI for the wonderful dinner. 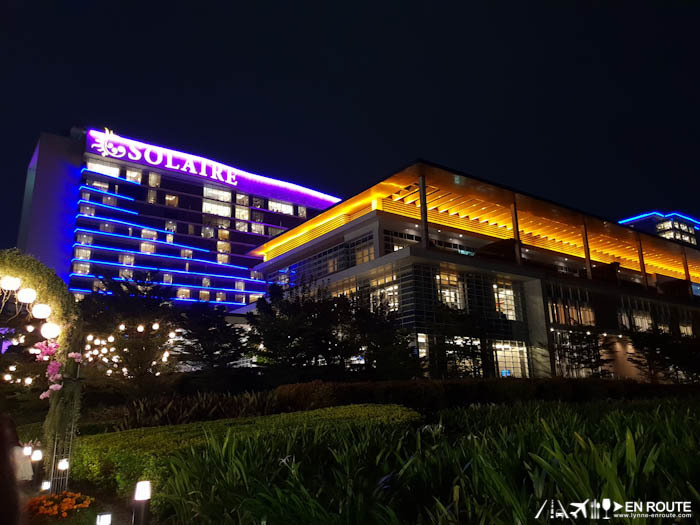 Congratulations to MMI, Dinner in the Sky, Solaire, and Chef Hylton for the inaugural week! 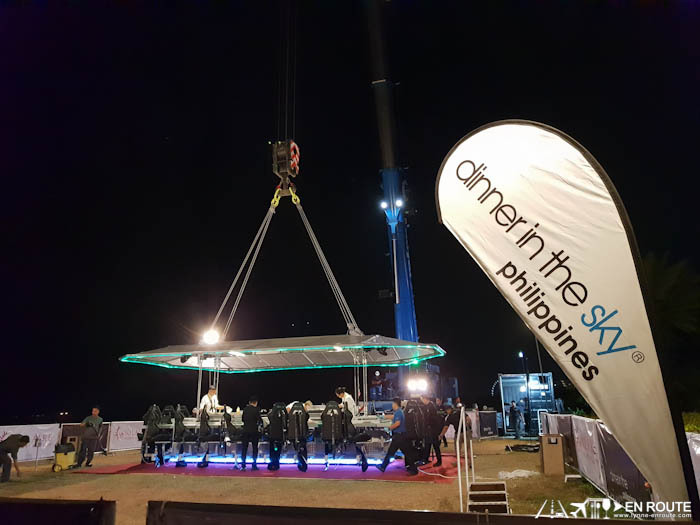 To reserve, you may visit the Dinner in the Sky Philippines site. Here are the featured chefs per week. The last chef, Chef Yves Mattagne will be flown in from Belgium. 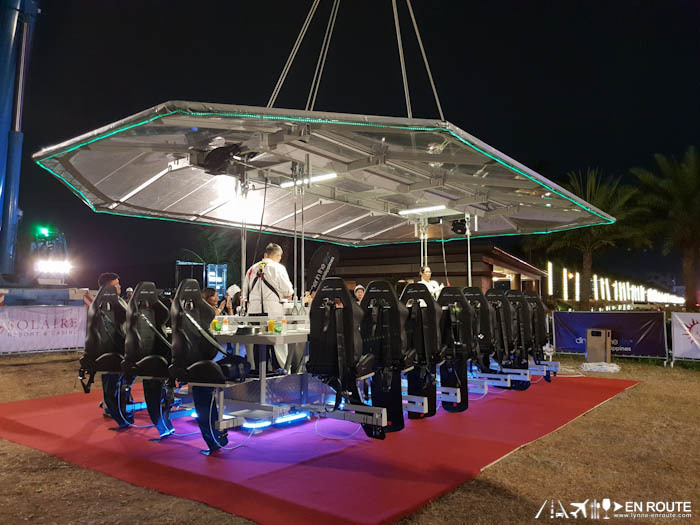 Dinner in the Sky Philippines is located at the Esplanade, Solaire Resort and Casino, Entertainment City, Paranaque, Metro Manila.